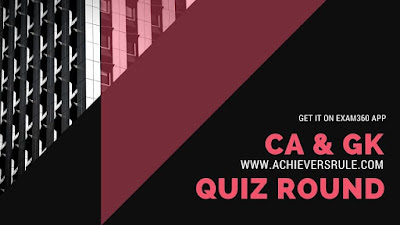 Daily Current Affairs Quiz: 25th March 2018 consists of 15 questions that belongs to different categories like National Affairs, Schemes, Obituary, Summits, Conferences and Events. These questions have been framed based on the Current Affairs Updates for 25th March 2018 which was posted this morning. So all of you who would be going through this quiz can go through that before trying to attempt. Moreover, these questions have been framed keeping in mind the upcoming examinations of Bank like IBPS PO, IBPS CLERK, SSC CGL, SSC CHSL and other similar government examinations. We have also added a proper explanation for each of the question which can help readers to revise the entire quiz after attempting. We hope our articles are really helpful and we would definitely appreciate your feedback. Q1. Ustad Bismillah Khan's ___________ birthday has been celebrated by Google Doodle. Q3. Who is Trump's national security adviser? Q4. Department of Atomic Energy (DAE) has developed an instrument to measure traces of __________ in water. An instrument to measure traces of uranium in water has been developed by a unit of the Department of Atomic Energy (DAE). The instrument, "Fluorimeter", has been developed by the Raja Ramanna Centre for Advanced Technology (RRCAT), an Indore-based unit of the DAE. Q6. Kerala launched an app named ________________ that will serve as a single window for accessing thousands of government services. Kerala, which last year became the first State to declare Internet a basic human right, has notched up another first by launching "mKeralam", an app that will serve as a single window for accessing thousands of government services..
Q7. Who won the G.K. Reddy Memorial National Award for journalism? Q9. Who has been appointed as the VC of Banaras Hindu University? Reliance signs deal to merge JioMusic with Saavn. Mukesh Ambani-helmed Reliance Industries Ltd on Friday announced an integration with leading music app Saavn for its digital music service JioMusic. Q13. Who is to be India's flag-bearer at CWG opening ceremony ?. Q14. Which Government launched multi-utility vehicle NAIPUNYA RATHAM ? Andhra Pradesh Government launched multi-utility vehicle NAIPUNYA RATHAM or World on Wheels to bring technology to remote corners.